Design outstanding banners, videos or native ads for your LinkedIn campaigns. 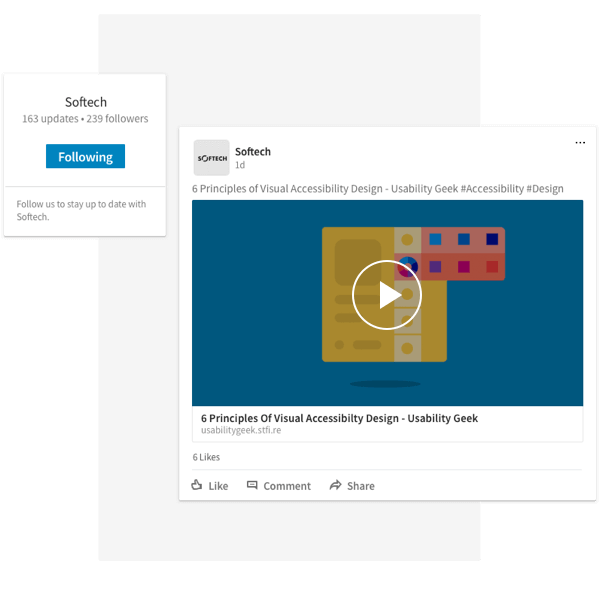 Enhance your presence on LinkedIn through stunning graphics and videos, all created with Bannersnack. Having a great LinkedIn page is a MUST these days, whether you're a big corporation, start-up or ambitious entrepreneur. That's why we've created some beautiful LinkedIn header templates to help you easily set up your LinkedIn profile in a grand way. Plus, with Bannersnack you can create beautiful visual ads to showcase your products, promote your news or announce upcoming events. Stand out on LinkedIn with great content. With Bannersnack you can create beautiful LinkedIn video ads to promote your business to a targeted professional audience. Easily create MP4 video files using pictures and animation effects and engage business decision makers with your brand. Showcase your products or services, tell your brand's story or offer a sneak peek at your next project. Use video to build brand awareness, drive website traffic, or generate leads. Whether your marketing objective is to boost your brand's popularity, drive leads or nurture key business partnerships, the LinkedIn sponsored posts can help you achieve it. 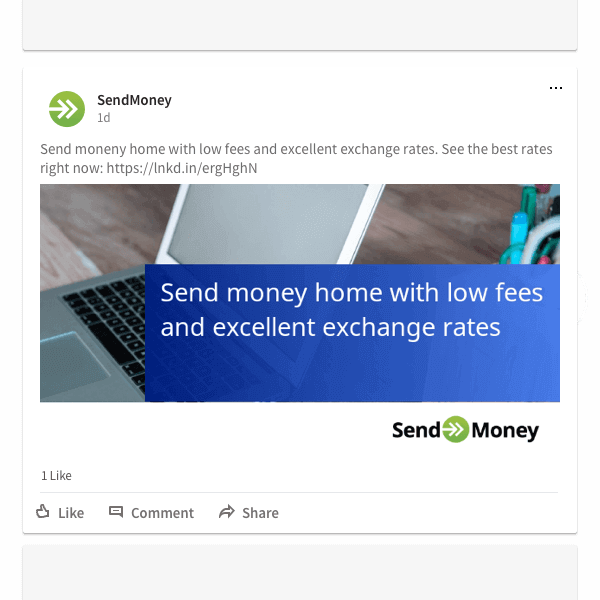 Design outstanding visual and video ads with Bannersnack and publish them on LinkedIn. Take your B2B marketing strategy to the next level! We store loads of premium LinkedIn background photo templates matching every major industry. Browse through our fine ready-made visuals and choose one that suits your business and objectives. 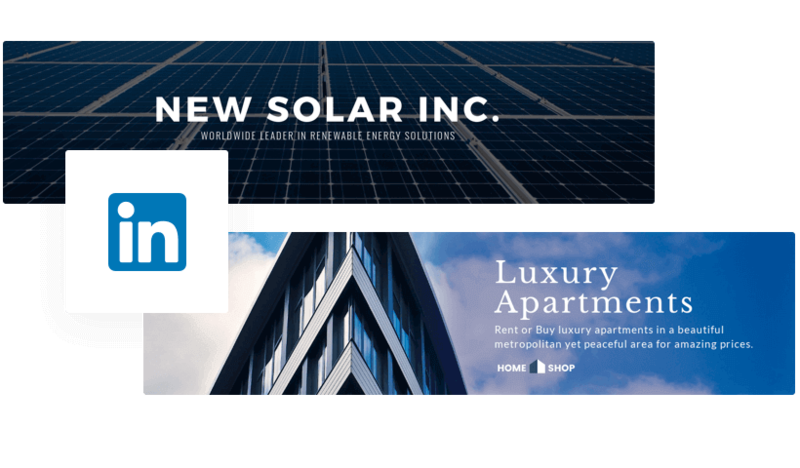 All our templates are in line with the current LinkedIn banner size. Not familiar with the LinkedIn banner dimensions? No worries! Pick one of our ready-made LinkedIn template formats and start designing. Customize it with your own pictures and elements, or start from scratch. You'll find loads of stock images, modern shapes, icons and buttons in Bannersnack. Plus, you can use one of our unique typography presets to design a truly spectacular LinkedIn banner image. Engage your followers with animated ads. Use our cutting-edge Magic Animator tool to create lively animated visual ads. Simply click to pick an animation effect from the Animator's panel and see your work come to life. When you're done, just click Save and download your file as a .JPG, .PNG, .GIF or MP4. Then, simply upload it to LinkedIn. Our exports are standard-compliant, high-quality visual materials. Next step: watch your page take off! Use Bannersnack to create all the visual materials for your LinkedIn page: profile picture, cover photo, regular posts and advertisements. Make sure your company looks great on the world's largest corporate & professionals network.